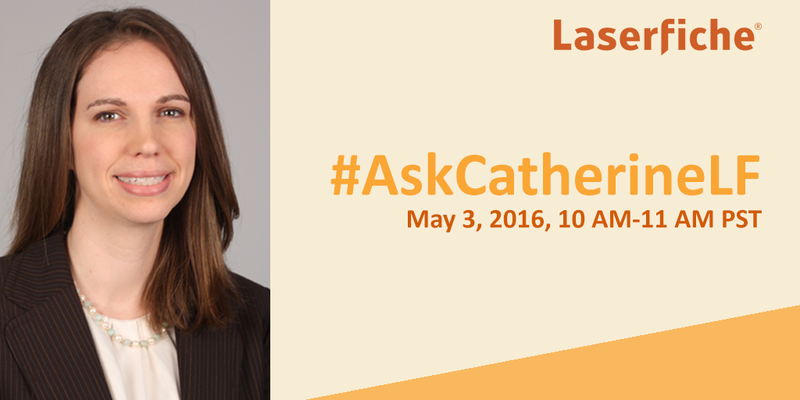 Join us on Tuesday, May 3rd for an exclusive Twitter Chat with Catherine Ramos, Director of Operations at Laserfiche. This is your chance to ask us all your questions about Laserfiche products, solutions and more. As Director of Operations, Catherine works with the vertical management team, which include government, education, and finance. Whether you’re a city official interested to learn more about how to utilize the recently released Laserfiche 10.1 software, a financial advisor eager to learn the updates in the Business Process Library, or a recent graduate curious about our company culture, Catherine will be by her keyboard ready for your inquiries! Meet @Laserfiche on Twitter from 10:00 AM to 11:00 AM PT and use #AskCatherineLF to send your inquiries between now and when we are live. 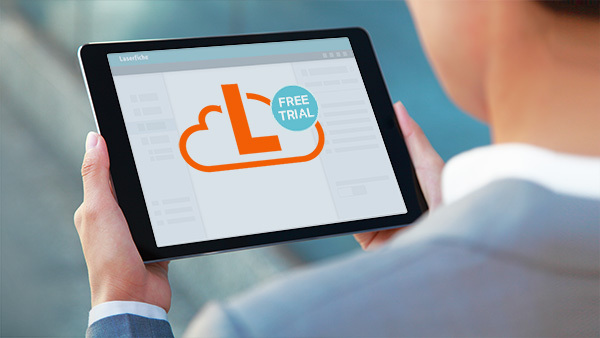 You can also email your questions to social@laserfiche.com before May 3rd.